Our coastal village has a quaint quality of life from a time forgotten in our fast paced world. Come and explore “Our Playground for your Passions in Our Little City by the Sea, Wachapreague, Virginia." Experience a fun filled day on the water. Let Day Trippers, Island House Marina / Trident Tackle, or Wachapreague Marina, arrange your in-shore, off-shore or wreck charter fishing trips, boat taxi to shell filled barrier island beaches, a sunset cruise, kayaking adventure, clamming, crabbing experience or bird watching experience. In the fall book a waterfowl hunting trip with a guide. Forgot to bring your boat? Skiffs can be rented at the Island House Marina and Wachapreague Marina. 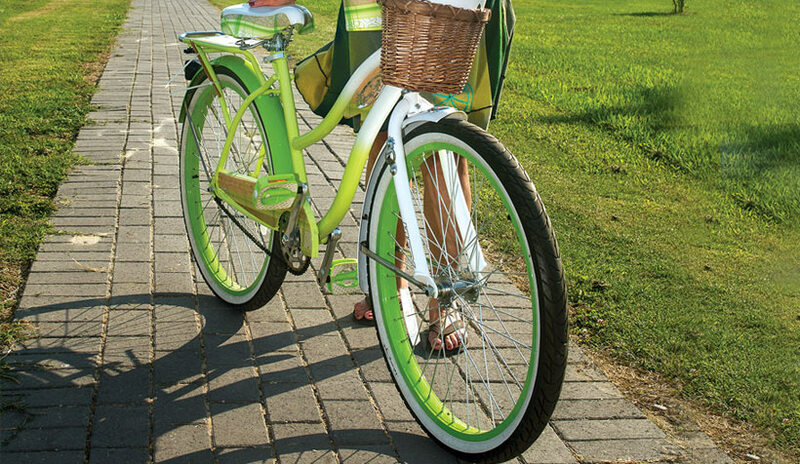 Bike, kayak and golf cart rentals can be arranged by Day Trippers. Walk or bike our posted “Wachapreague Health Community Trial”, or discover our history by reading "A Walking Tour of Wachapreague”, a narrative by local historian Kirk Mariner. Indulge in a custom made sandwich at our General Store & Deli. Visit our award winning fresh seafood restaurant, The Island House, where you can choose to sit inside or outside overlooking our waterway waiting for the fishing fleet to return with their catch. Dinner at The Island House is worthy of a second visit for nightly specials including the catch of the day. Debbie’s Market has a small assortment of quick yummy pickups available. Seaside Park is home to Eastern Shore Native Plant Garden, the largest on Virginia’s Eastern Shore. Enjoy the water view from the lovely gazebo. Herbert S. Powell Memorial Park has a play ground to keep little ones entertained, tennis courts and ball field. Sight-seeing tours leave from the nearby Accomack County Airport on the beautiful Eastern Shore of Virginia. Wachapreague Inn, Seaside Antiques and the Island House shop all have locally made gifts, jewelry, antiques and prints, plus local decoy carvers are proud to show off their work. A fine art gallery – Current Reflections has paintings by local artist and visiting artist. A General Store, and Debbie’s Market have small grocery needs and bait can be purchased. Wachapreague Marina and Trident Tackle sell bait and tackle needs along with skiff rentals. Wachapreague has a birding station for wildlife observation overlooking the salt marsh and waterway. Better yet, book an Eco Tourism Cruise out to the barrier islands. Wachapreague is an integral part of the migratory path for thousands of birds. Love to paint? Bring your easel to our shoreline or book a workshop, when offered, taking in a lesson by professional artist at Current Reflections Fine Art Gallery.